The Life of Reason; Or, the Phases of Human Progress - Scholar's Choice Edition by George Santayana was published by Scholar's Choice in February 2015. 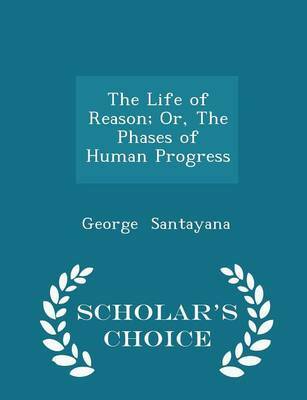 The ISBN for The Life of Reason; Or, the Phases of Human Progress - Scholar's Choice Edition is 9781297235474. Be the first to review The Life of Reason; Or, the Phases of Human Progress - Scholar's Choice Edition! Got a question? No problem! Just click here to ask us about The Life of Reason; Or, the Phases of Human Progress - Scholar's Choice Edition.